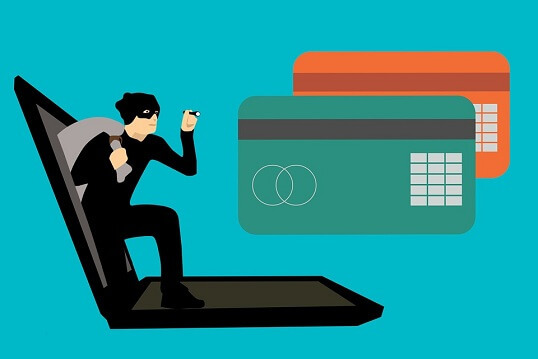 Phishing is a fraudulent attempt to steal your username, password and other sensitive information. Phishing is extremely high in email communication. The scammers will disguise themselves as an authentic company or individual when they contact you. Gmail filters many kinds of phishing emails by sending those emails to the spam folder. The spammers still find more ways in sending phishing emails directly to your inbox folder. Normally, when you receive an email to your inbox, you'll read it. If you receive such a fraudulent email, there is a 99% chance that you might lose your sensitive information. Spammers mostly target people in the age group of 40-65. They send phishing emails to all the email addresses they collect online. The above-mentioned age group people fall prey to them. This type of online frauds is called a Phishing attack. It is impossible to stop them from sending scam emails but you can take necessary steps to avoid the trap. 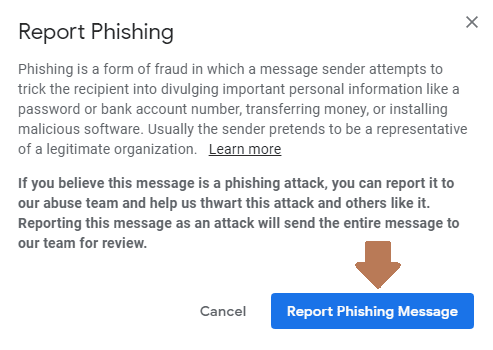 In this guide, you'll learn how to identify and report phishing emails to Google. Phishing or fraudulent email header in Gmail. Desktop PC to report Phishing emails from a web browser. By looking at the email, initially, you won't find it as a phishing email. When you carefully notice the received email from top to bottom, you can identify them. Follow the below suggestions if you have a doubt in the authenticity of the received email. Check the From email address to find whether it's from the legit source. Check the Subject line and Body of the message in the email to find Grammatical error. If there is a link in the message, hover on the link to see where it is pointing towards. Sometimes, the displayed link may have the full URL (faked URL). So, I recommend you to place the cursor on the URL. It's the first method to identify phishing link. Do not click on the link without verification. Spammers will come to know that you've actually clicked the link. If the email is disguised as sent from your Bank, PayPal, Amazon, Netflix or Government, please check whether the link has HTTPS. It stands for HyperText Transfer Protocol Over Secure Socket Layer (SSL). All the payment involved links should have this certificate. If you don't find this in the email, do not proceed with the link. Check whether the payment link has a hyphen in the URL. Example: http://paypal-securi.com. Payment link with a hyphen in URL is considered as a suspicious link. If you find any malicious software to download in the email from an unknown sender, never download the application. It might be a Ransomware program to lock your computer. If you don't find the link but the message has a BTC address to send money, it should be a blackmailing email. Never respond to such emails. 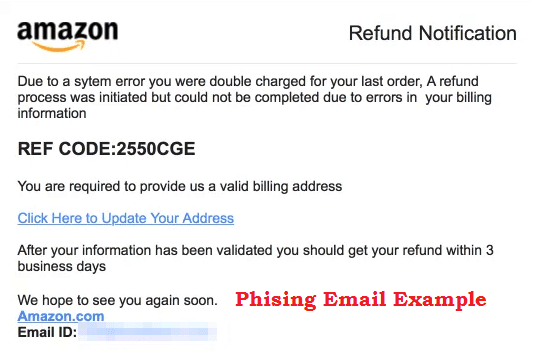 In this example, you could see how a scammer will approach you by sending a phishing email. It says "you were double charged for your previous order. To initiate the refund, your billing info is needed". The next moment you may think that you will receive money after filling out the billing information. Once you fall prey, BooM! You'll lose your money. Gmail has a built-in feature to report a phishing email. Gmail carefully look for the reported phishing email. When many people report the same email as Phishing, next time those emails will be automatically sent to the Spam folder. As we discussed previously in this guide, you need to log into your Gmail account from PC. Gmail app doesn't have the phishing report function. If you find a Phishing email, open the email. Next to the 'Reply' symbol on the top right side, click the 3 Vertical dots (More). 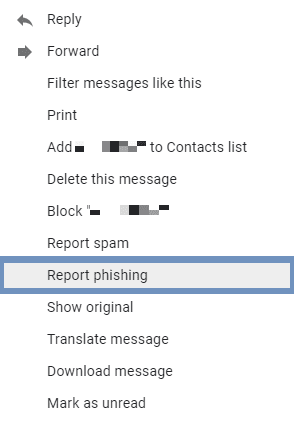 Then, click the Report Phishing Message button to send the entire email to Gmail's abuse team for review. Similar to Gmail, the popular Outlook email service has the feature to report phishing emails. The process is the same. Follow all the suggestions given in this guide to identify fake email. Log in to your Outlook email account. Open the phishing email from the inbox. Click the 3 horizontal dots (More actions) on the top right side. 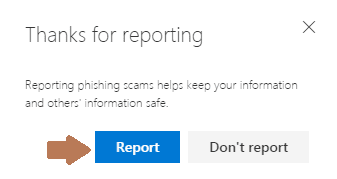 Finally, hit the Report button to send the complete email to Outlook's email abuse team for review. Have you ever received annoying emails from an individual Gmail user? Did you just block them? Well, you should report them before blocking. You can report any annoying email from your Gmail account as we discussed earlier in this guide. If the sender using a Gmail address, you can take some more serious measures to hit them hard. Google has a dedicated email reporting form for Gmail users. Before proceeding, you should copy the email header message. Go to your inbox and find the annoying email from a Gmail user. 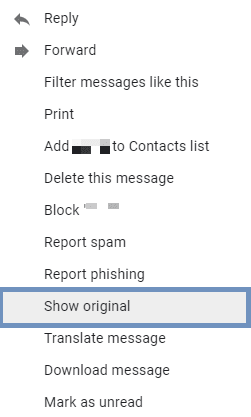 Click the More option next to the 'Reply' symbol. In the new tab, you'll find many details such as Message-ID, created date, From and To address, Subject and other info. Click Copy to clipboard or copy the entire message you'll see below the above message. It is the email header that we'll use to fill the form. Click here to go to the contact abuse form if you would like to report a Gmail user. You've to fill all the mandatory fields to report a Gmail user to Google. Field 1 - Enter your email address. Field 2 - Enter your Gmail username (if any). Field 3 - Give the sender's Gmail address. Field 4 - Paste the copied email header. Field 5 - Fill with the subject of the received email. Field 6 - Copy and paste the body of the email message. Field 7 - Enter additional information you want to provide. If you believe that the email is from someone impersonating Google, click the Yes radio button. Else, give No. Reporting a phishing message is a practice that has to be followed by every Internet users to keep everyone safe online. If you correctly report a fraudulent email, you're helping your friends, parents, and others to protect their sensitive information. I hope this helps. Liked this guide? Give a thumbs up. Share and care!